Capacity is based on Inlet pressure of 6.9barG, pressure dew point of 4°C, surrounding temperature of 38°C and Inlet temperature of 38°C. Maximum pressure is 9.7barG. 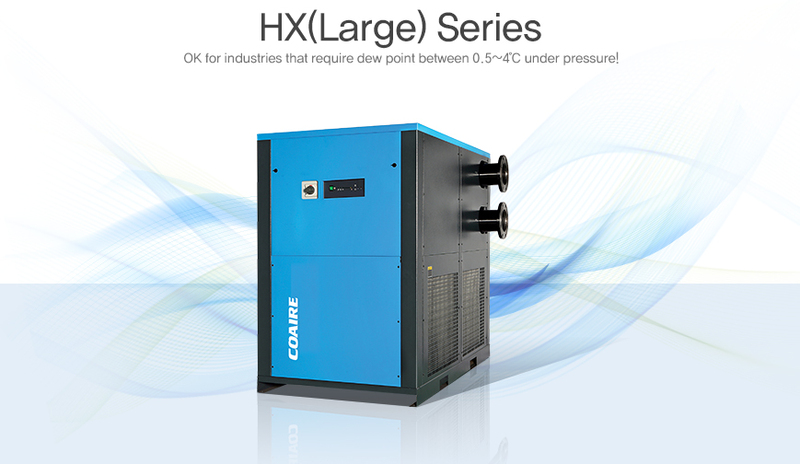 All models are standardized as air cooling type, and remote condensor is applied to air cooling models of HX4000K and higher. Water cooling is optional.